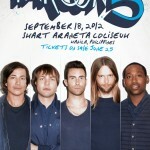 Back in 2008, I had the chance to watch Adam Levine and the rest of Maroon 5 in their first Manila concert at the Araneta Coliseum. It was such a thrill seeing and hearing the band live. 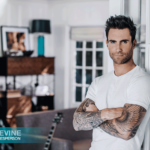 As the lead singer of the Grammy Award-winning band Maroon 5, Adam has made a name for himself with his signature voice, and hot looks, of course. He has achieved a lot in his remarkable career, including being named the “Sexiest Man Alive” for 2013. So it’s a surprise to know that Adam, like many of us, also struggled with acne breakouts in his teenage years. Yes, this man with the undeniable charisma and confidence also suffered because of acne just like any normal teenager, and had to deal with confidence issues. For someone who looked so natural in front of the camera, Adam was once forced to stay away from the crowd. Fortunately for Adam and his fans around the world, he found out about America’s #1 acne treatment system, Proactiv Solution, which gave him the answer to his acne problems. Proactiv’s 3-Step System is dermatologist-developed and is designed to help clear existing acne and prevent future outbreaks, while gently taking care of the skin. “So if your acne is your problem the solution is Proactiv, bottomline. I know how important it is to get acne out of your life. Proactiv helped me. It’s no brainer. Just do it. Because you’ll be very happy. It is so great that there is something out there now, that is legitimate,” Adam added. Thanks to Proactiv, Adam Levine now has clear skin and no longer feels the need to hide.